Sometimes, actually, often, I eat afternoon dessert with a fork so I don't get my hands dirty and have to compulsive wash them three times in a row. 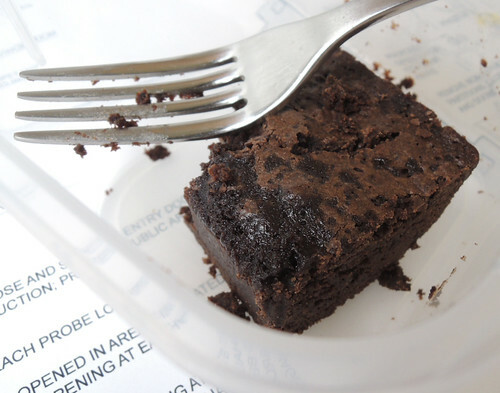 I have been saving this exceptional second piece of brownie by Heidi and it is just as good today. Today the saltiness was more pronounced and did I detect some hints of coffee?